FloorworksTEKA/Relative Space Exhibition Stand was created for the 2004 Interior Design Show held annually in Toronto, Canada. 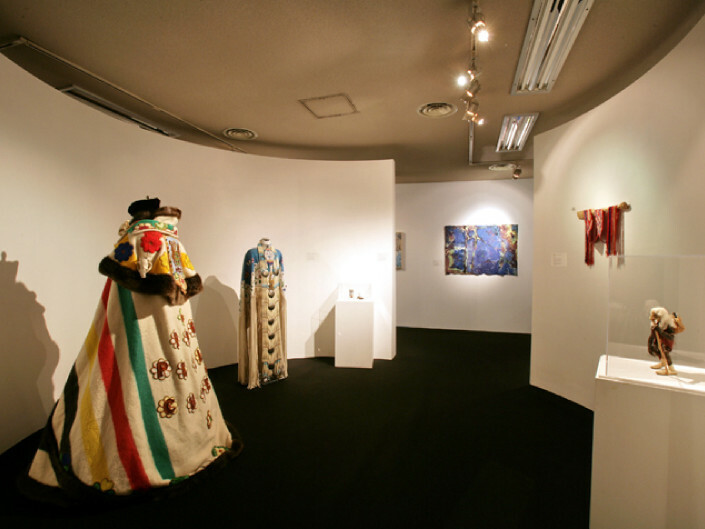 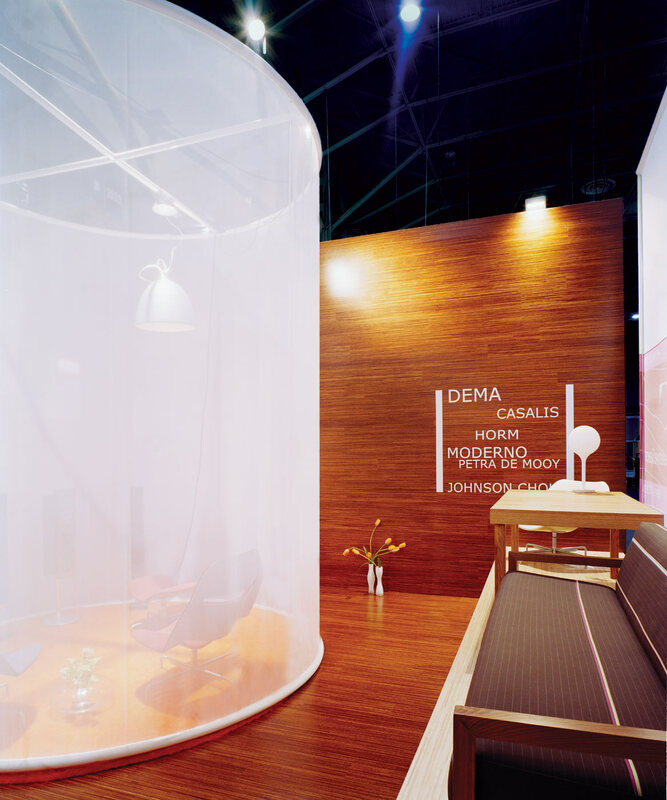 The project was the recipient of the “gold award” for best booth design for its size category. 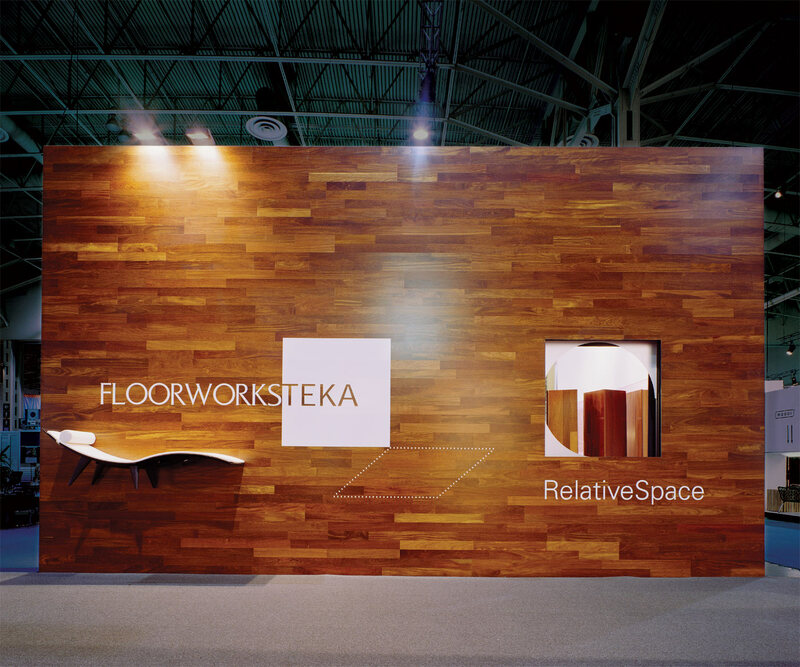 The 80m2 exhibition stand was designed to feature two types of products: Engineered wood flooring retailed by Floorworks and furniture represented by Relative Space. 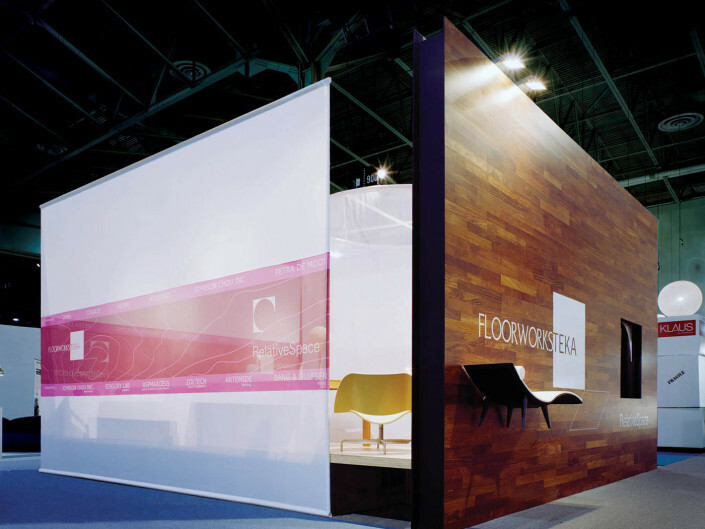 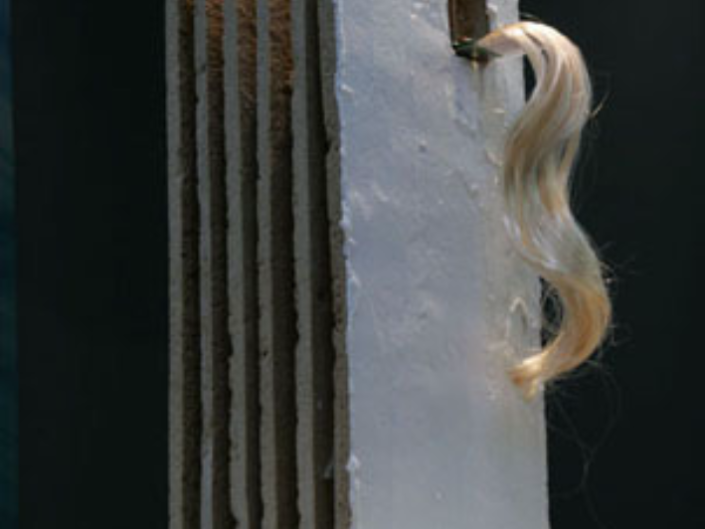 flooring products and selected contemporary furniture pieces. 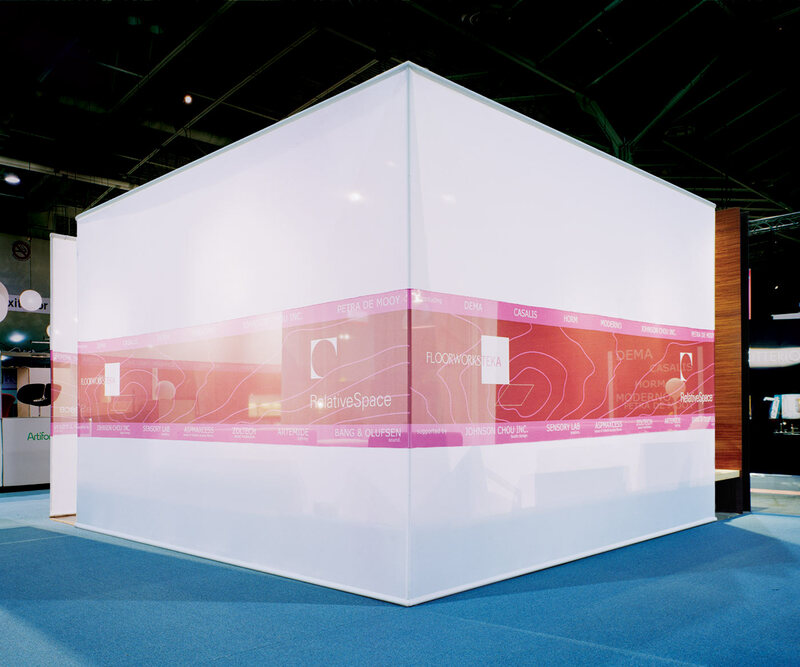 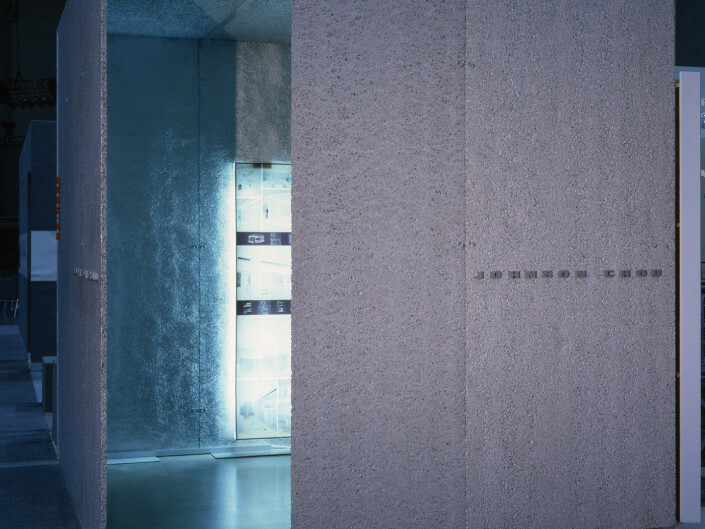 The main feature wall, platforms and floors are constructed of TEKA engineered floor and the remaining three walls are constructed of a veil-like semi-transparent nylon scrim to draw the viewers’ gaze towards the furniture displayed within. 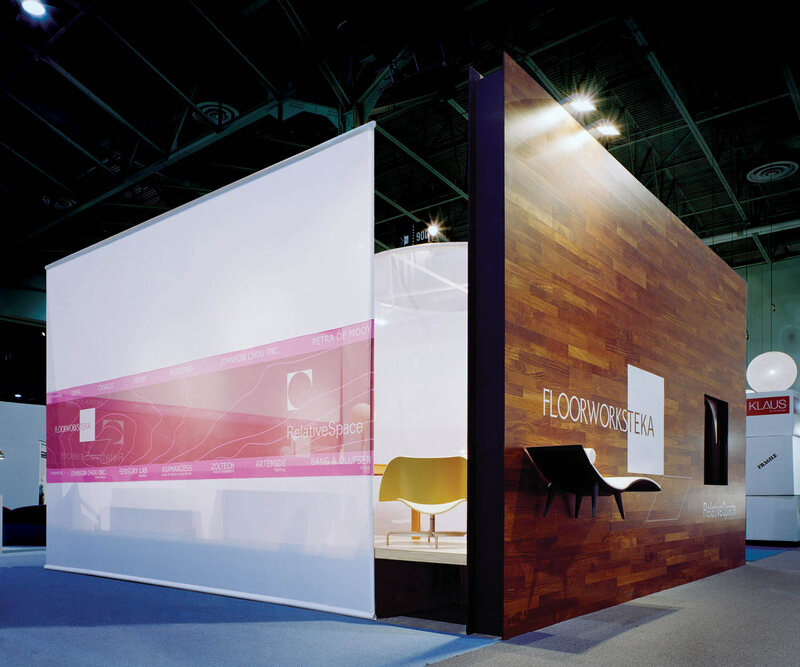 Gaps between the wood walls and nylon scrim form openings for entrance/exits and permit unobstructed views deep into the booth. 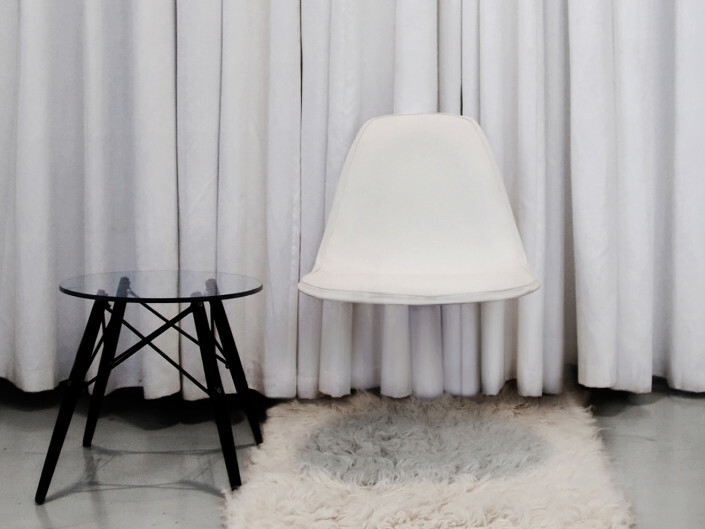 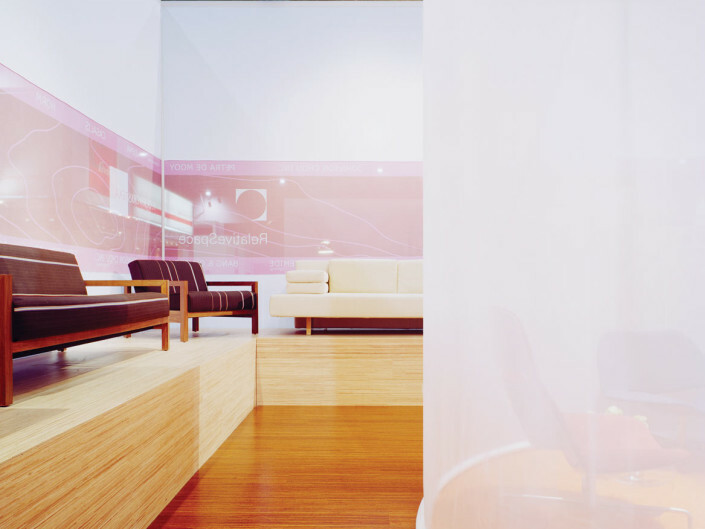 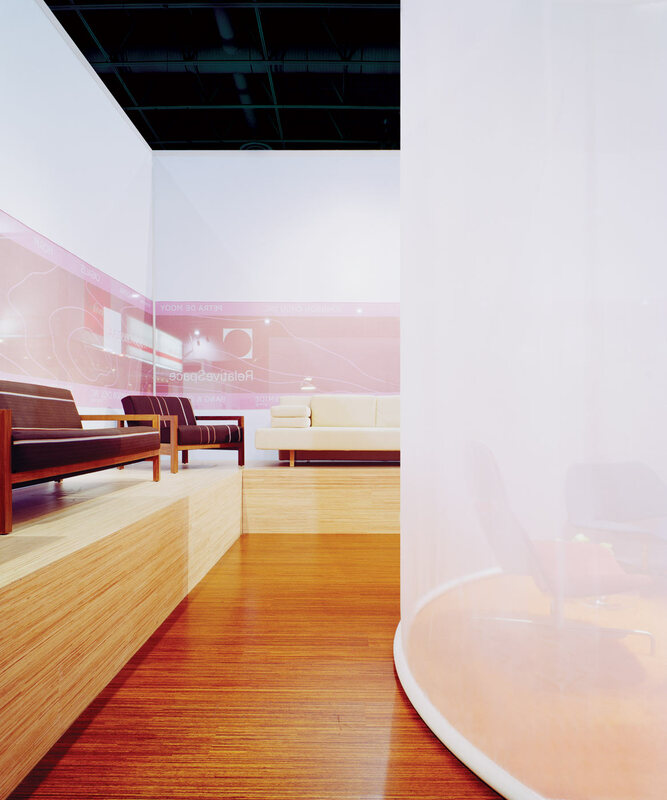 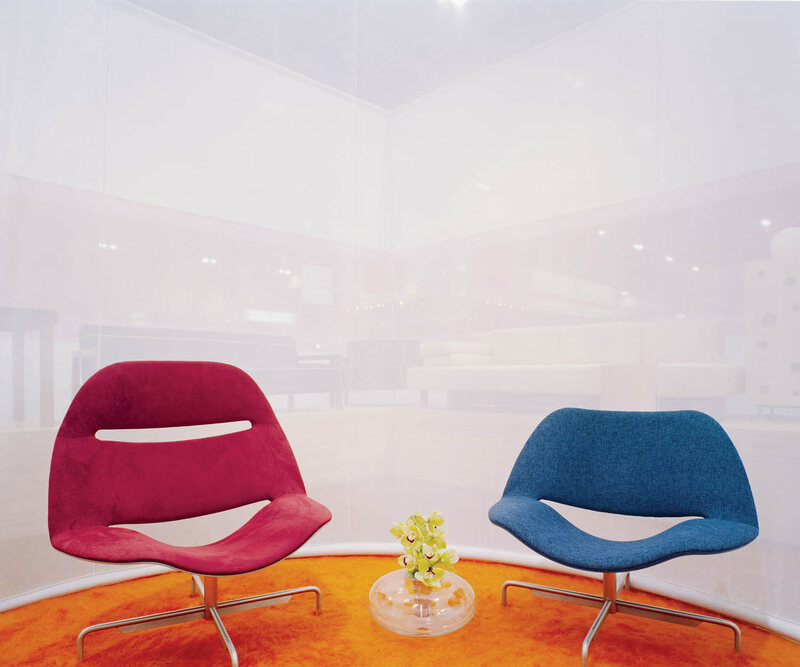 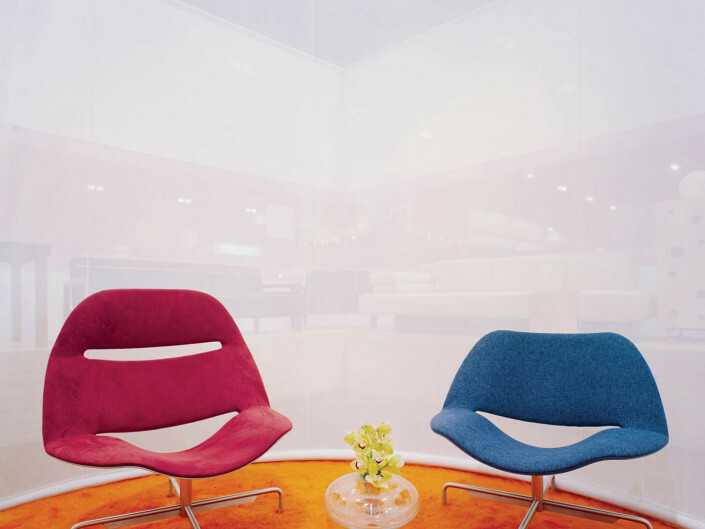 At the center of the booth is a semi-transparent cylindrical scrim that encloses an intimate seating area to feature selected furniture pieces and is flexible to encourage changeable furniture “settings”. 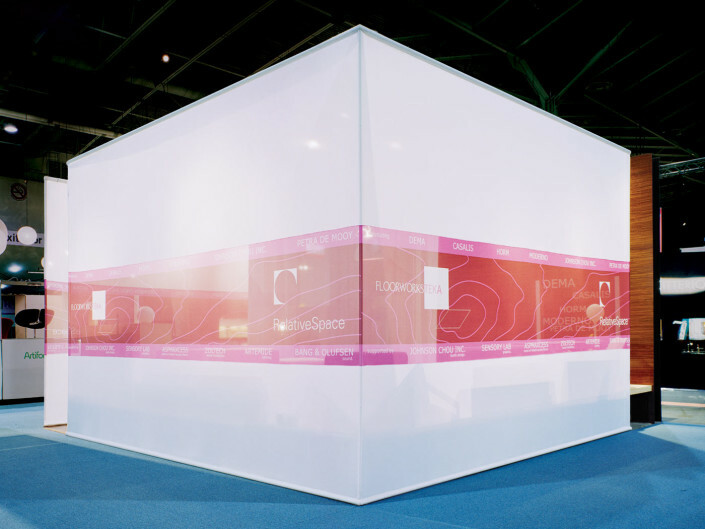 The cylinder defines the movement through the space and the raised display platform determines the perimeter of the booth.